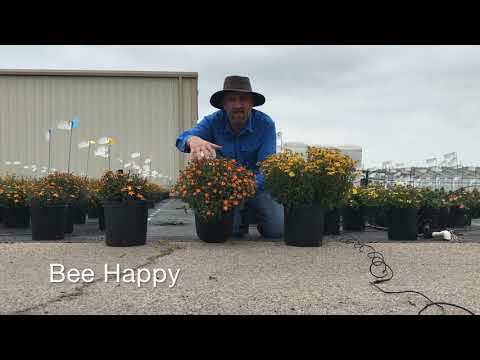 Bee Happy is 25 to 35% more vigorous than more compact Bee Alive. Not quite as vigorous as Bee Bold. It features an upright habit, unlike all other red bicolor bidens on the market. Plants can be grown closer together with less spacing, and they are easier to control with less PGRs.